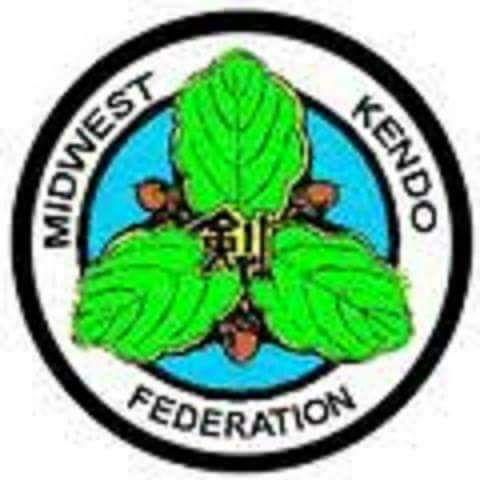 The undersigned desires to participate in the activities (collectively, “Activities”) offered by the MIDWEST KENDO FEDERATION, an Illinois not-for-profit corporation (“MWKF”).&#13;&#10;&#13;&#10;This Assumption of Risk, Waiver, and Release from Liability (this “Waiver”) covers the entirety of my participation in Activities, including travel to any locations in order to participate in Activities and any events or activities related thereto.&#13;&#10;&#13;&#10;In consideration of being allowed to participate in Activities, you hereby acknowledge and agree to the following:&#13;&#10;&#13;&#10;1. Risk Factors: I acknowledge and agree that my participation in Activities and the use of equipment and facilities provided by MWKF involves risks, including, without limitation, risk of property damage and risk of bodily injury, including permanent disability, paralysis, and death. These risks may result from a variety of circumstances, including, but not limited to, the use or misuse of the equipment or facilities, from the activity itself, from the acts of myself or others, including MWKF and its agents, or from the unavailability of emergency medical care.&#13;&#10;&#13;&#10;2. Assumption of Risk: I understand that my decision to participate in Activities is entirely voluntary, and that my participation is of my own free will. I assume full responsibility for all risks, both known and unknown, that may arise out of or result from my participation in Activities, including, but not limited to, those risks described in Section 1.&#13;&#10;&#13;&#10;3. Release, Indemnify and Defend: I hereby release, waive, discharge, and hold harmless MWKF, and all of its affiliates, predecessors, successors, trustees, officers, directors, instructors, agents and representatives, past or present (collectively, the “Released Parties") from any and all claims, suits, liabilities, judgments, costs and expenses (collectively, "Claims") for any property damage, property loss or theft, personal injury or illness, death or other loss arising from or relating to my participation in Activities. I agree to defend, indemnify and hold harmless the Released Parties from and against any Claims arising from or related to my own acts or omissions in connection with my participation in Activities.&#13;&#10;&#13;&#10;4. Waiver: I hereby waive any protections afforded by any statute or law in any jurisdiction the purpose, substance and/or effect is to provide that a general release shall not extend to claims, material or otherwise, which the person giving the release does not know or suspect to exist at the time of executing the release. This means, in part, that I am releasing unknown future claims.&#13;&#10;&#13;&#10;5. Representatives: I enter into this agreement for myself, as well as for my heirs, assigns and legal representatives.&#13;&#10;&#13;&#10;6. Insurance: I understand that I am solely responsible for any medical, health or personal injury costs relating to my participation in Activities. I understand that I am strongly encouraged to have an annual physical examination and purchase health insurance prior to any and all participation in Activities.&#13;&#10;&#13;&#10;7. Medical Consent. I grant MWKF permission to call 911 for emergency medical aid or to take me to a physician or hospital for medical treatment, or both, if any MWKF agent or volunteer believes I require medical treatment. I assume all responsibility for all medical, rescue, transportation, and other expenses incurred on my behalf.&#13;&#10;&#13;&#10;8. Applicable Law, Jurisdiction and Venue. This Waiver shall be governed in all respects by the laws of the State of Illinois, regardless of its conflicts of law provisions. The parties agree to use the State of Illinois for jurisdiction and the County of Cook as venue for any disputes between the parties related to this Waiver.&#13;&#10;&#13;&#10;9. Electronic Signature (eSignature). By selecting the "I Accept" button, you: (a) are signing this Waiver electronically, and agree your electronic signature is the legal equivalent of your manual signature on this Waiver; and (b) consent to be legally bound by this Waiver's terms and conditions, and agree that no certification, authority or other third party verification is necessary to validate your eSignature and that the lack of such certification or third party verification will not in any way affect the enforceability of your eSignature.